In the National League East division standings, a massive gap separates the Phillies (58-67) and the team they host for a three-game set beginning on Friday night, the first place Nationals (77-47). With the Nats ahead of the 3rd place Phillies by 19 1/2 games, heading into the weekend, it was just a year ago that things were nearly the exact opposite and the Phillies led the Nationals by 21 games. 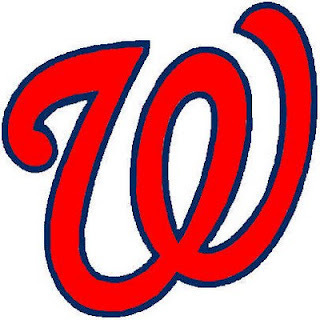 Thus far in 2012, the Nationals have won 5 of 9 meetings with the Phillies. Read ahead for details on the pitching match ups and more key info on this series. Friday, 7:05 PM. Edwin Jackson (7-8, 3.69 ERA) vs. Kyle Kendrick (6-9, 4.20 ERA). In 3 career starts against the Phillies, the righty Jackson has a 0-3 record with a 5.60 ERA. Jackson has a 4-3 record with a 3.94 ERA in 13 road starts this season. Placido Polanco is 0-for-10 in his career against Jackson. In his past 2 starts, Kendrick is 2-0 while throwing 15 shutout innings. In 13 home outings this season, Kendrick is 2-6 with a 5.01 ERA. Ian Desmond is 8-for-19 (.421 avg) with a homer and 4 RBI in his career against Kendrick. Saturday, 7:05 PM. Gio Gonzalez (16-6, 3.23 ERA) vs. Roy Halladay (7-7, 3.95 ERA). Gonzalez, a lefty, is 10-2 with a 3.26 ERA in 14 road starts this season. In his career against the Phils, Gonzalez, who once pitched in the Philadelphia organization, is 2-0 with a 0.69 ERA in 2 games. Opponents are batting .214 against Gonzalez this year. In 4 August starts, Halladay is 3-1 with a 2.79 ERA. Halladay is 4-3 with a 3.63 ERA in 9 home starts this season. Sunday, 1:35 PM. Jordan Zimmermann (9-7, 2.54 ERA) vs. Cliff Lee (2-7, 3.78 ERA). In 13 road starts this season, Zimmermann has posted a 7-4 record with a 1.96 ERA. The right-handed Zimmermann is 1-1 with a 4.15 ERA in 4 August starts. Lee has a 0-5 record and a 4.42 ERA in 10 home starts this season. In 6 career starts against Washington, Lee has a 4-2 record with a 2.44 ERA. Lee's last home win was on September 5, 2011. Ian Desmond has a .308 average with 2 HR and 9 RBI in 23 career games at Citizens Bank Park. In 79 career games against the Phillies, Adam LaRoche has a .300 average with 13 HR and 41 RBI. LaRoche is batting .278 with 15 HR and 43 RBI in 62 road games this year. Jayson Werth is batting .373 with 8 doubles, a triple and 8 RBI in 19 August games. Werth has a .903 OPS in 282 career regular season games at Citizens Bank Park. Domonic Brown has a .306 average with 1 homer and 7 RBI in 13 home games this season. Brown is batting .308 against right-handed pitchers and .211 against left-handed pitchers. Since joining the Phillies, reliever Josh Lindblom has posted a 7.88 ERA in 9 appearances. Lindblom has not allowed a run in 3 appearances against Washington this season. Ryan Howard has a .284 batting average with 7 homers and 20 RBI in 21 home games this season. Howard is batting .333 with runners in scoring position this season.